I've been plowing through my json file for G+. Back in May of 2015, my son was playing Destiny with me. He was 9 or 10. In the middle of a mission, he stopped and climbed into my lap. I asked him what was wrong. I gave him a hug. He asked why it matter if he was Titan. I told him: "No hugs for Hunters." 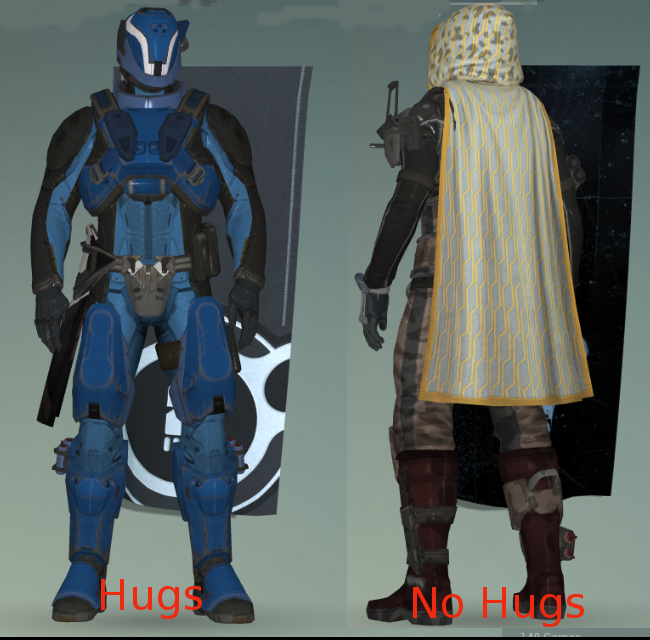 I uploaded a crude screenshot of his Titan and my Hunter to the Destiny Community page in G+. This started my long time habit of heckling hunters in that community. Now, heckling is all in good fun and I suspect that Bungie had some fun with me and my son. Here is a screencut from Destiny 2.